Born in Montijo, Portugal, in 1962, Fernanda Fragateiro currently lives and works in Lisbon. From 1978 to 1981, she was enrolled in the Antonio Arroio School of Decorative Arts in Lisbon, where in 1981 she had her first exhibit, “Panoramas”, along with António Campos Rosado. In 1981-82 she attended Ar.Co – Art and Communication Centre in Lisbon, and between 1983 and 1987 she completed the sculpture programme at the Lisbon School of Fine Arts. In the 1980s she worked as an illustrator for several publications. 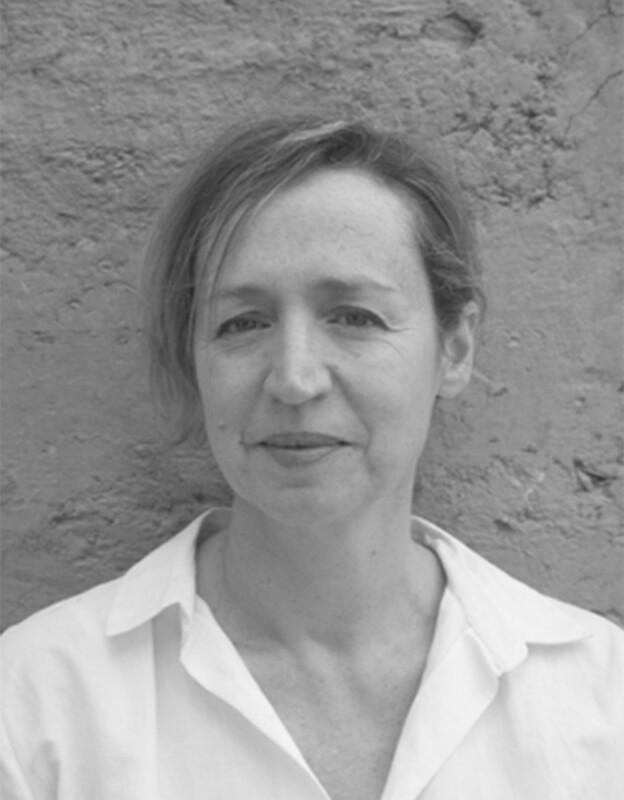 From 1997 to 1999 she taught drawing at Ar.Co, and in 1999-2000 lectured at the postgraduate programme in Urban Design of the Portuguese Design Centre in Lisbon. Fragateiro’s work is located at the crossing juncture of sculpture, installation, ceramics, architecture, design and illustration, producing interdisciplinary pieces in dialogue with the environment as well as the viewer, who is often required to engage in a performative action that completes the artwork. Her public art, developed for non conventional spaces, often consists of subtle interventions or additions to the site or the landscape, like Jardim das Ondas [Garden of Waves], created in 1998 for Expo 98 in Lisbon. In addition to Eu espero [I am waiting], built for the 5th Santo Tirso International Symposium of Contemporary Sculpture in 1999, some of her public art projects include Desenho suspenso [Suspended Drawing] (Pisão Natural Park, Cascais, 2011), and Concrete Poem (Vila Nova da Barquinha, 2012). Fernanda Fragateiro had her first solo exhibition in 1987, and her work has been represented in several group exhibitions in Portugal and abroad. Especially noteworthy among her solo exhibitions are “Quarto a céu aberto”, a retrospective staged at Culturgest, Lisbon, in 2003, as well as the more recent “Stones against diamonds”, staged at NC-Arte, Bogota, Colombia, in 2014. She has been distinguished with several awards, including the 2001 Tabaqueira Public Art Award, Azores, 2001.